Automakers seem to be on a mission to turn every car in their lineups into a hybrid or EV. Sometimes enthusiasts like to complain that certain cars should never include electrification. For example, we think that the Lamborghini Aventador would be worse if it was an EV. Part of what makes that car great is the sound and savage gear changes. This isn't the case with all cars though. There are certain models that we think would be much better if they had an EV drivetrain instead of a gas engine. Here are our top five cars that would be better off as EVs. 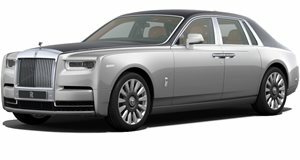 Rolls-Royce recently revealed its all-new Phantom VIII. This amazing flagship luxury car will pick up right where the previous Phantom left off by offering a buttery smooth 6.75-liter twin-turbo V12. Even though this engine produces 563 hp and 664 lb-ft of torque while barely making any noise, we think that the Phantom would be even better as an EV. This way, the car would be perfectly silent instead of just very silent. An EV drivetrain would also eliminate gear changes all together and give the car the smoothest acceleration possible. Rolls-Royce may build the most luxurious car, but it could still learn a few things from Tesla. 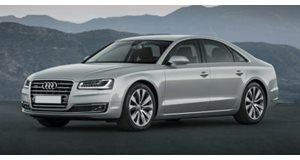 On a very similar note of luxury, we think that the new Audi A8 could benefit from an EV model. We could have easily included rival German sedans like the BMW 7 Series and Mercedes S-Class on this list as well. These cars are all at the top of the technology pyramid in the auto industry. It would make sense that one of these cars should go electric and have incredible smoothness and performance that would match the high-class character of this segment. We chose the A8 simply because it is the newest of the three and features the most autonomous driving technology that would pair well with an EV drivetrain. The Lexus LS is the last luxury flagship on the list that we think should become an EV. We could also make a similar argument with the smaller Lexus ES sedan. 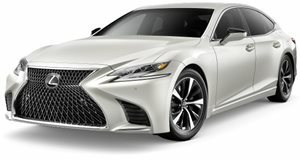 Lexus has been trying to catch up with the German automakers by offering sporty, RWD cars with very good handling. This effort has been good, but we think that Toyota needs to go back to what has helped it succeed: electrification. Toyota and Lexus hybrid models were once at the forefront of technology, but have since turned into an afterthought compared to Tesla. We think that Lexus could reinvigorate the market with an EV model that would help it leapfrog its German rivals. 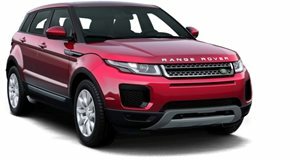 The Range Rover Evoque is a bit of an oddball on this list. We chose the Evoque because we have always thought that this model never lived up to its full potential. The Evoque is extremely beautiful, but offers a very average 2.0-liter turbo four-cylinder that seems out of place in such a futuristic-looking car. We think that the Evoque would be perfect as the first EV model from Land Rover. Not many people actually use the Evoque off-road anyway, but we have seen in the past that EVs can succeed off-road. Turning the Evoque into an EV would give more people more of a reason to gravitate to it, instead of just loving the Range Rover badge. The Q60 is a very important car for Infiniti. The old G37 was a very popular car, but the 3.7-liter VQ V6 was getting a bit long in the tooth. 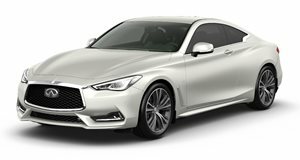 Enter the new Q60 with its available 400 hp twin-turbo V6. We thought that this new engine would be what Infiniti needed to get back in the spotlight. However, it turns out that this new engine doesn't have a whole lot of character and neither does the Q60. We think that Infiniti needs to do something different in order to stand out. There is currently no sporty, affordable EV coupe on the market today. If Infiniti could turn the Q60 into a fast EV coupe, it could have a huge market advantage over cars like the BMW 4 Series, Mercedes C-Class coupe and Audi A5.